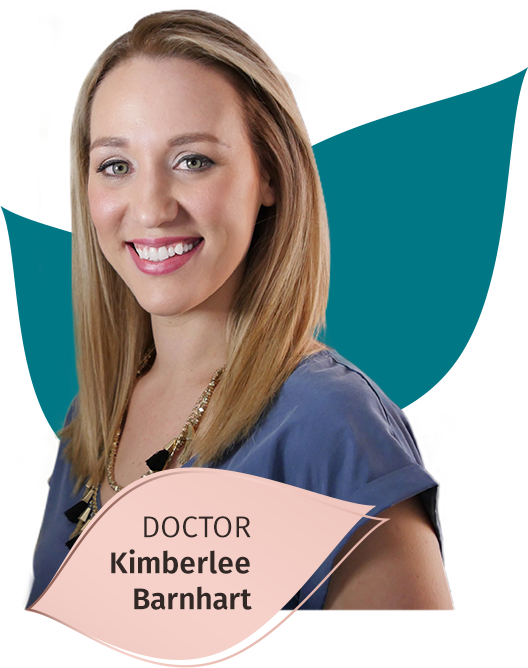 Dr. Kimberlee Barnhart provides the natural healing of chiropractic care in a warm and welcoming environment. We can't wait to start your family's journey to better health and in turn, a richer, more fulfilling life! Get empowered to make the right choices for your family at Hartland Chiropractic & Wellness! You shouldn't have to be limited by illness, pain, or not getting the results you'd hoped for from other avenues. Katy Chiropractor Dr. Kimberlee Barnhart is here to assist you and those in Cinco Ranch and Fulshear in optimizing your health and reaching your highest level of vitality. Chiropractic is about more than alleviating pain or covering up a symptom. By correcting the cause of your symptoms, we can enhance your entire well-being with our personalized, natural care plans. When you take ownership of your health, you have the power to build a happier family unit and in turn, can be a positive influence on your entire community. At our warm, family-friendly office, you'll feel instantly welcome. Dr. Kimber loves to form connections with her patients and cares deeply about each individual who walks through our door. We're dedicated to finding the source of your problem with the assistance of leading-edge technology from CLA INSiGHT™, which provides a blueprint for your customized care plan. We'll be able to visually track your progress as we go, so you not only feel your health improve, but you'll also be able to see the proof, too. Dr. Kimber is passionate about supporting families through each milestone of their lives. She emphasizes the importance of chiropractic for everyone and is passionate about caring for pregnant women, babies and children. By starting chiropractic care early in life, we can help you and your child avoid common health issues, while boosting your immune and nervous systems. Dr. Kimber has the expertise to care for you and all of your loved ones. She is certified in the Webster Technique for pregnancy and has over 200+ hours of additional hands-on education in pediatrics and prenatal care from the International Chiropractic Pediatric Association (ICPA). Contact Hartland Chiropractic & Wellness today to schedule an appointment! Our office offers same-day appointments and late closing hours. We absolutely love Dr. Kimber!!!! She makes you feel right at home and treats you like you’re family!!! Dr. Kimber was great. She explained clearly what she was doing and why she was doing it, and I left feeling confident and relaxed! Can’t wait to go back! Very thorough one-on-one experience with a professional. Dr Barnhart was very comfortable with my infant and made me feel confident in her ability to care for her. Appreciate the toys for my other kiddos to play during appointment. Definitely recommend for anyone with little ones! Dr. Barnhart is amazing. She honestly cares about my pain and road to zero pain. She stops and explains the when, why, and how’s. Thanks a bunch! Very warm and inviting. Dr was very thorough and informative about the process and what to expect, as well as very personable and friendly. I have a history of back pain and knew that it would become an issue during my pregnancy with my twins. I started getting weekly adjustments at 19 weeks and noticed a significant decrease in my back pain from then on. Dr. Barnhart adjusted me and taped my belly and back, and I also did exercises to help with an easier pregnancy. My twins were my first pregnancy and (in my opinion) was a pretty easy pregnancy and regular adjustments helped with that. I highly recommend this place and am looking forward to continuing my care here during postpartum and forward! I would highly suggest seeing Dr. Barnhart. She was extremely knowledgeable and is more focused on finding long term solutions for my chronic back pain, not just a quick fix. It was also my first time to get a real adjustment and she made me feel so comfortable through the whole process. Again, such a great experience and I will continue coming here to see Dr. Barnhart! So clean and inviting. Dr. Barnhart was very friendly, thorough and knowledgeable. I’m looking forward to finally being pain-free after my treatments begin on a regular basis. Dr. Kimberlee Barnhart is a miracle worker. When I arrived, I could barely get out of my car. After xrays, massage therapy and additional treatment, I walked out an hour later feeling like a new woman. My energy levels are through the roof. And my favorite part… no meds!! They focus on whole body wellness and nutrition which I love also. Who needs physicians who practice western medicine? I’ll continue to go to Dr. Barnhart for life!